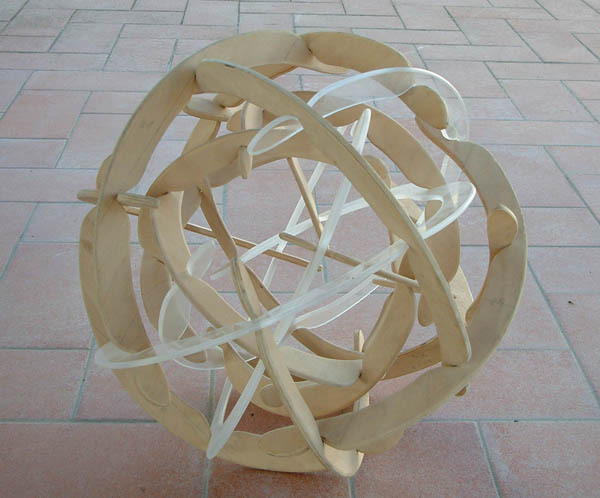 The patterns of the spheres, domes and cilinders can all be seen as planar graphs. In this sense the objects are in fact only two dimensional. Not flat, but the patterns can be "unrolled" on the 2D plane, and then you will not have any real crossings in the structure. Next step in my investigation was to search for objects with structures which are not based on planar graphs. These are the Real 3D objects. 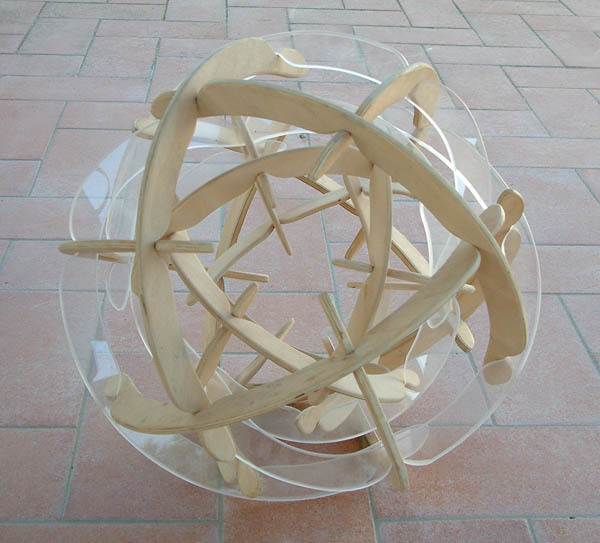 The structure of this first object is not a proper Leonardo Grid: the transparant elements all have 8 instead of 4 connection points.